While most of you opt for high(er) coverage foundations when the weather starts to cool down, I strangely enough go for the sheerer products, where tinted moisturisers are my forté. 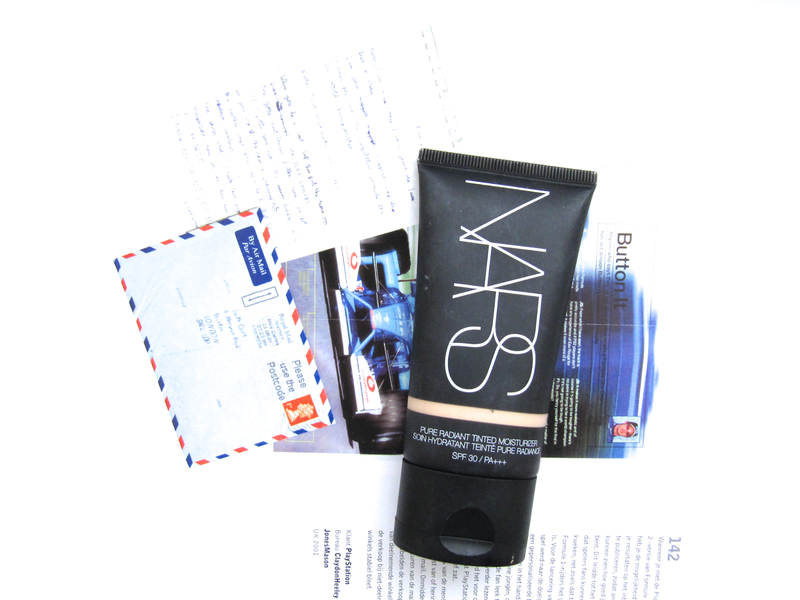 With my combination/oily skin, and army of choices, NARS Pure Radiant Tinted Moisturiser is often the one that ends up on my face. Having used this more than ever lately, I realised it’s time to add my two cents to the table. Marketed as “your skin – almost bare, but better”, it really does live up to its claim. With it’s oil-free formula, the finish of the product looks like you’ve got a satin veil over your skin with your skin still shining through, in a good way. It’s packed with naturally derived botanicals and ingredients to quench the skin. Kopara and mineral rich seawater help to create a softer, smoother look while adding a natural glow. It also contains SPF30 PA+++ which I find a huge plus, as I tend to skip forget to apply SPF when I don’t see the sun often. It claims that on the long-run it improves the condition of your skin though I personally haven’t noticed any improvements on my skin. This doesn’t upset me as I bought it as a tinted moisturiser, not a skincare treatment. Its light to medium coverage doesn’t cover up blemishes entirely, but manages to mute the redness in my skin. My skin does end up a bit shiny throughout the day, but I still like this for my combination/oily skin as it’s so comfortable to wear (there’s nothing blotting paper can’t fix). There you have it, a tinted moisturiser that does what its name says: adding radiance to the skin with the right amount of coverage. Your best pal when you need to cheat your way through those “I am so not wearing make up today”-days. Which tinted moisturiser do you tend to use?